What are the differences between Chapter 7, Chapter 13, and Chapter 11? In a Chapter 7 bankruptcy case, the general objective for an individual debtor is to obtain a discharge of debts, subject to exceptions, meaning that he or she is relieved of the legal obligation of having to pay them back. A trustee is appointed to liquidate the debtor’s assets, subject to the ability to protect assets that are exempt under the law. In a Chapter 13 bankruptcy case, one can generally retain ownership of exempt and non-exempt property in exchange for committing to a 3 to 5 year repayment program, at the conclusion of which the debtor may receive a discharge of all dischargeable debts that were not paid in full under the plan. Chapter 13 is frequently filed to stay a foreclosure sale and to cure the past due mortgage payments through a repayment plan. Chapter 11 is primarily a mechanism for a business reorganization but is available to individual debtors in appropriate circumstances. In a Chapter 11 case, creditors are stayed from pursuing collection actions against a debtor and its assets, allowing breathing room for the debtor to continue operating in the ordinary course of business, while focusing on a turnaround with the objective of proposing a plan of reorganization to deal with the pre-bankruptcy debts. There are certain eligibility requirements for Chapter 7. The means test may steer an above-median debtor into Chapter 13 or Chapter 11 instead. Additionally, one is not eligible for a discharge in a Chapter 7 case after receiving a discharge in a prior Chapter 7 case filed within the last 8 years. Unless creditors are paid in full more quickly, Chapter 13 repayment plans last 3 to 5 years. A discharge is the legal mechanism under the bankruptcy laws for relieving one of the legal obligation to repay debt. 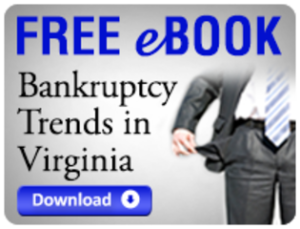 The Bankruptcy Code addresses the categories of debt that are eligible for discharge under the various bankruptcy chapters. Additionally, one may lose the right to receive a discharge based on certain transactions or misconduct as set forth in the law. While a debtor may receive a discharge of his or her personal liability even for secured debts like car loans and home mortgages, a secured creditor’s lien will generally pass through the bankruptcy case unaffected, such that if a debtor intends to retain the creditor’s collateral post-bankruptcy, the debtor will have to continue to satisfy the lien. Creditors may be able to object to the dischargeability of their debt in your bankruptcy case. Creditors or the U.S. Trustee may also be able to object to the general discharge of all of your debts. The grounds for contesting the general discharge of debts or the dischargeability of particular debts are set forth in the Bankruptcy Code. Exemption laws, which vary by state, define the property that a debtor is permitted to retain. $5,000 (or $10,000 for individuals over age 65) to protect other miscellaneous assets, such as home equity, bank deposits, and tax refunds, or to supplement the foregoing exemptions. Under Chapter 7 you can retain your house if there is no equity or the equity is exempt, provided you are able to maintain the mortgage payments to avoid a subsequent foreclosure sale by the mortgage holder. It may be possible to work with the mortgage lender to modify the existing mortgage terms. Under Chapter 13 it is possible to retain one’s home by maintaining the regular post-petition mortgage payments while curing the pre-bankruptcy arrearages over the course of the Chapter 13 plan. If a vehicle is properly claimed as exempt or otherwise abandoned by the bankruptcy trustee, you can retain it, provided you are able to maintain the payments secured thereby so as to avoid a repossession by the secured creditor. It may be necessary to execute a reaffirmation agreement with the secured creditor. A reaffirmation agreement is a post-bankruptcy agreement between a debtor and a secured creditor, whereby the debtor agrees to become re-obligated on a debt that would otherwise be discharged. Because a reaffirmation agreement defeats the purpose of the discharge to the extent of the reaffirmed debt, one must carefully weigh the risks of such a commitment. Fortunately, the law provides a 60 day rescission period so that a debtor can effectively change his or her mind after signing a reaffirmation agreement. What is a Motion for Relief from Stay? The initial bankruptcy filing automatically and temporarily stays creditors from pursuing any further collection actions against a debtor or the debtor’s property. A creditor may file a motion for relief from this stay in the bankruptcy court to request permission to enforce its collection rights against specific collateral, such as to foreclose on real estate or repossess a vehicle, or otherwise to pursue their claims under applicable non-bankruptcy law. How are Homeowners’ Association Dues Treated In Bankruptcy? The treatment of Homeowners’ Association dues are specifically defined under the Bankruptcy Code. HOA dues that have accrued prior to the bankruptcy filing are eligible for discharge, but HOA dues that accrue after the bankruptcy are not discharged. The law seeks to balance a homeowner’s right to receive a discharge of debts against the neighbors’ rights not to be saddled with the homeowners’ share of the HOA dues in perpetuity. A debtor’s liability for postpetition HOA dues remains for so long as the debtor remains the legal owner of the real estate (or cooperative). How long will a Chapter 7 filing remain on my credit report? 10 years from the bankruptcy filing date. How long will a chapter 13 filing remain on my credit report? 7 years from the bankruptcy filing date.